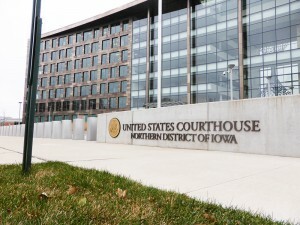 CEDAR RAPIDS – An Iowa man who carjacked an eighteen-year old woman at gunpoint and carried a loaded handgun during the robbery of a Cedar Rapids cell phone store was convicted by a jury on November 27, 2018, after a two-day trial in federal court in Cedar Rapids. 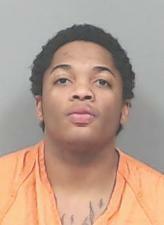 Cedric Antonio Wright, age 22, from Cedar Rapids, Iowa, was convicted of four counts: carjacking, carrying and brandishing a firearm during and in relation to the carjacking; unlawful possession of a firearm as a felon and unlawful drug user; and carrying a firearm during and in relation to the robbery of a Sprint Store in Cedar Rapids. The verdict was returned following about one hour of jury deliberations. Wright had previously pled guilty in the same case when, on October 29, 2018, he pled guilty to one count of robbery and conspiracy to rob the Sprint phone store. The evidence at trial showed that on October 22, 2017, Wright carjacked an eighteen-year old Kirkwood Community College student who was returning to her apartment near Kirkwood after spending the evening with her parents. As the student parked her car outside her apartment, Wright approached and pointed a handgun at her head while demanding she give Wright her car keys and cell phone. The student gave a description of Wright to the police, including the fact that he was wearing a black face mask and camouflage clothing. The student later identified a photo of Wright that appeared online and also identified Wright from a group of photos at the Cedar Rapids Police Department. Trial evidence showed that on October 23, 2017, Derrick Ford agreed to give Wright and Gage Rupp a ride in his minivan from southeast Cedar Rapids to an apartment complex on the west side of Cedar Rapids, where Wright claimed the group could transfer into his sister’s car. After getting into the other car, the group drove to and parked in a parking lot adjacent to the strip mall where the Sprint Store was located. The group sat in the car and watched as customers in the store completed their business and left the store. The lone clerk in the store then began to prepare the store for closing. Ford was then directed to drive to the side of the cell phone store and park, where Wright and Rupp got out of the car and put on gloves and clothing to partially obscure their faces. Wright and Rupp then entered the store and demanded the clerk let them into the room where the store inventory was located. The clerk complied and testified at trial he did so because the robbers entered the store aggressively and he felt in fear of his life. Wright and Rupp returned to the waiting car with more than $1000 in cash and about $40,000 in cell phones and other electronic devices they had stolen from the store. One of the stolen devices was a tracker that alerted police of the robbery. The group then drove back to the west side apartment complex. Wright and Rupp celebrated along the way, and Rupp stated how “sweet” it was that they “didn’t even have to use the gun.” Upon returning to the apartment complex where Ford’s minivan was parked, Wright stated that that they all needed to get back in Ford’s minivan because the car they were in was stolen. Police responded to the tracking device within a few minutes. The group spotted the police and Wright attempted, unsuccessfully, to get Ford to hide a handgun in the console of the van. The police then pulled over the minivan and detained Wright, Rupp, and Ford. The police located the stolen cash, phones, and electronic devices inside the minivan. The police also recovered a loaded .40 caliber Smith and Wesson handgun from inside the van. The car used in the robbery was determined to have been stolen from the student the previous evening. Investigators discovered the handgun had been purchased by one of Wright’s friends in Indiana several weeks prior to the Sprint Store robbery. Evidence at trial included several photos from Wright’s Facebook account showing Wright in possession of the same handgun. A video from the Facebook account showed Wright shooting the gun seized from the minivan at a gun range. Other photos taken from Wright’s Facebook account showed him wearing items of camouflage clothing and a black knit ski-type mask. Videos taken from the Facebook account showed Wright in possession of other handguns. Finally, the evidence showed Wright had a prior aggravated robbery conviction in Illinois in 2016 for committing a robbery while threatening the use of a firearm in the course of the robbery. Sentencing before United States District Court Chief Judge Leonard T. Strand will be set after a presentence report is prepared. Wright remains in custody of the United States Marshal pending sentencing. Wright faces a mandatory minimum sentence of 32 years’ imprisonment and a possible maximum sentence of life imprisonment, a $1,500,000 fine, and 22 years’ of supervised release following any imprisonment. Rupp previously pleaded guilty to participating in the robbery of the Sprint Store, conspiring to commit the robbery, and carrying a firearm during and in relation to the robbery. Ford previously pleaded guilty to conspiring to commit the robbery of the Sprint Store. Both men are pending sentencing at a future date. The case is being prosecuted by Assistant United States Attorneys Richard Murphy and Emily Nydle and was investigated by the Cedar Rapids Safe Streets Task Force. The task force is composed of representatives from the Federal Bureau of Investigation, United States Marshal Service, and the Cedar Rapids Police Department.